The user makes some changes in the database. This query is executed and this operation is immediately recorded in the transaction log. When the record is saved, the query returns to the user. But what about the record in the data file? Data file is later updated during a checkpoint. It works this way because the data file may need to expand to accommodate the changes. One more thing that has to be mentioned is that a database can have one or more transaction log files. Using two or more transaction logs will not make your database work faster, because writing can occur only into one file at a time, meaning that parallel I/O operations are not possible. The scenario under which multiple transaction log files are recommended is when the first one can not grow anymore. The log file will grow until it filled all free space on the disk where it is located unless log records are removed. As time passes, old log records become unnecessary for recovery process so they must be deleted to free space for new log records. Such process in SQL Server where all unnecessary records are removed to reduce the size of the log file is called transaction log truncation. The way this truncation happens is dependent on the recovery model that was selected for your database. To set up auto shrink using SSMS, right click on the database for which you want to set up transaction log auto shrink, select “Properties”, then “Options”. Choose “Auto Shrink” and switch from “False” to “True”, and then click “OK”. 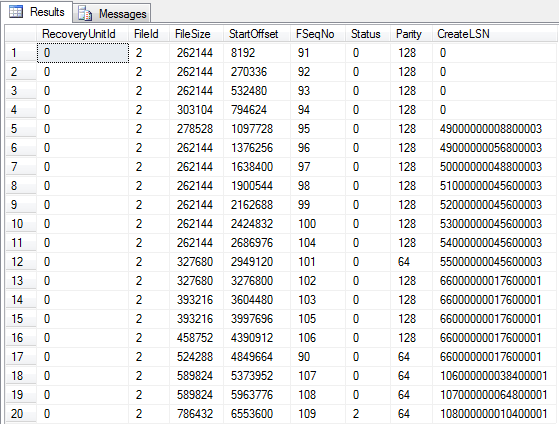 So after the transaction has been committed, SQL Server can reuse the space. But be careful with this option as there is no way to control when auto shrink starts. Also, such operations where file grows, then shrinks, then again grows and again shrinks, take more resources. Remember, if the database is running under the full or bulk-logged recovery model and the full backup has been never made, the transaction log will be truncated at each checkpoint. As mentioned above, the transaction log is automatically truncated under the simple recovery model, but how can you manage the transaction log if the database uses full or bulk-logged recovery model? This is achieved through regular transaction log backups. FileId – shows in which physical file the VLF is stored. 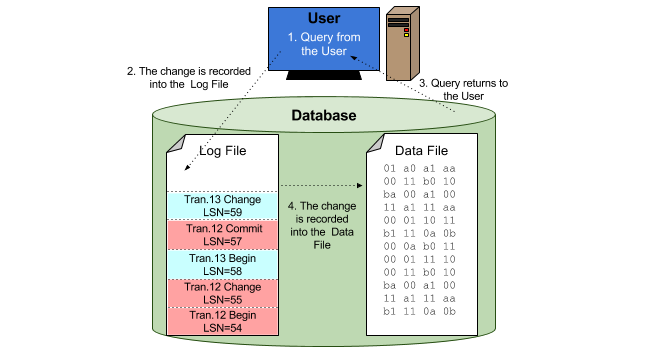 FileSize – size of the transaction log file (in bytes). StartOffset – used as the sort column for the output. Note that the first VLF is always 8,192 bytes. FSeqNo (File Sequence Number) – indicates the order of usage of the VLF. The VLF with the highest FSeqNo number is the VLF where current log records are being written. Status – there are two possible values: 0 and 2. VLF with 0 indicates that it can be reused, the VLF with value 2 indicates the it is not reusable. Parity – has two values: 64 and 128. It switches every time when a VLF is reused. CreateLSN – indicates when the VLF was created. If the value is 0 it means that VLF was created when the database was created. If the VLFs have the same value it means that they were created at the same time.